PARIS, France — The world experienced an abnormal heat wave earlier this winter registering temperatures 30 degrees above normal in some instances. It was an extraordinary weather episode attributed to the global warming phenomenon environmental scientists have been predicting for decades. The occurrence was simultaneous to the United Nations Framework Convention on Climate Change in Paris, France, where delegates from 195 countries convened and agreed on ways to reduce greenhouse gas emissions and came up with the means to do it. Contributing to the historic event was Florida A&M University Professor Odemari Mbuya, Ph.D. Mbuya is the program leader of Agronomy, Soil and Water Sciences at the College of Agriculture and Food Sciences and faculty director of the Sustainability Institute. As a FAMU representative for the Florida Climate Change Institute (FCI) at the conference, Mbuya was able to showcase climate change milestones confirming the commitment to address issues related to climate at national and global levels. 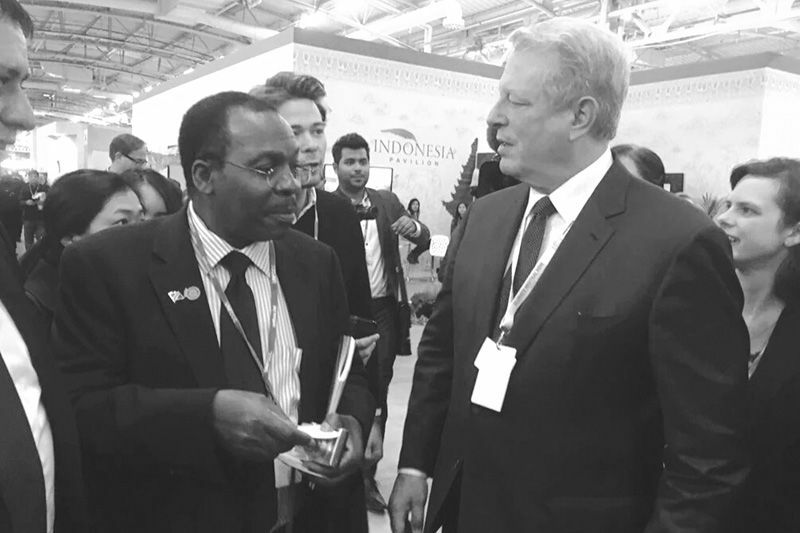 Mbuya met with former Vice President Al Gore and U.S. Secretary of Interior Sally Jewell. He gave them the FCI statement commitment to climate change. Mbuya also met with high-ranking officials from the government of India. India is willing to establish recruitment center for FAMU for students interested in advanced degrees.